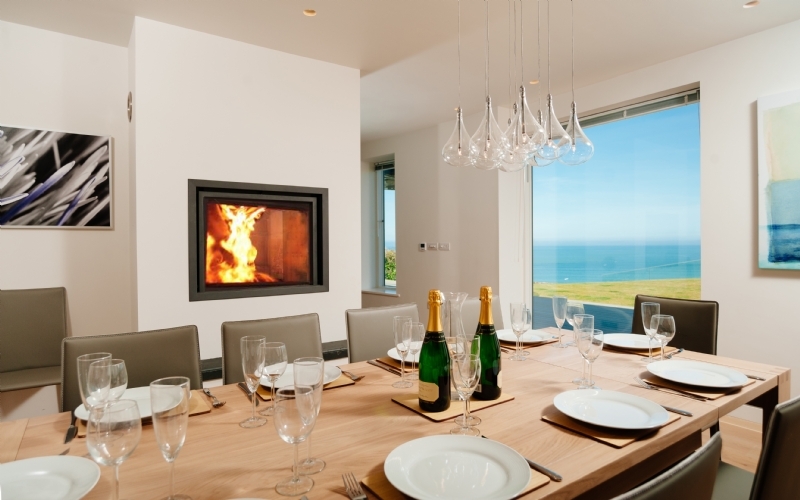 Stuv 21/95 double sided inset woodburner wood burning stove installation from Kernow Fires. 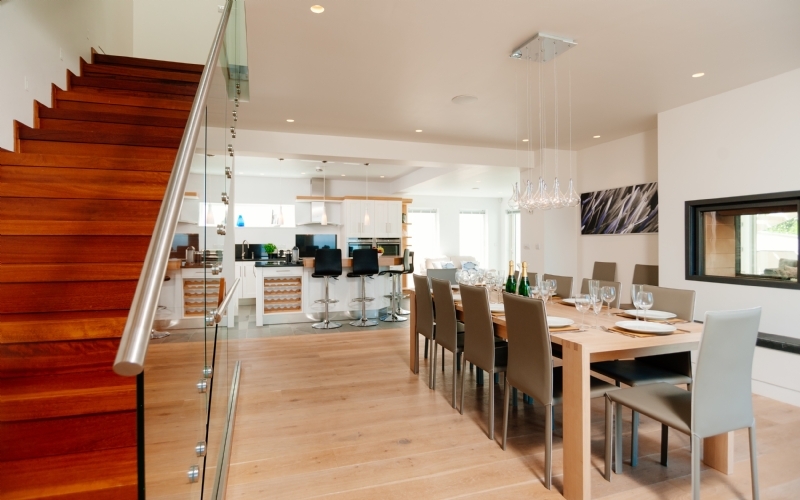 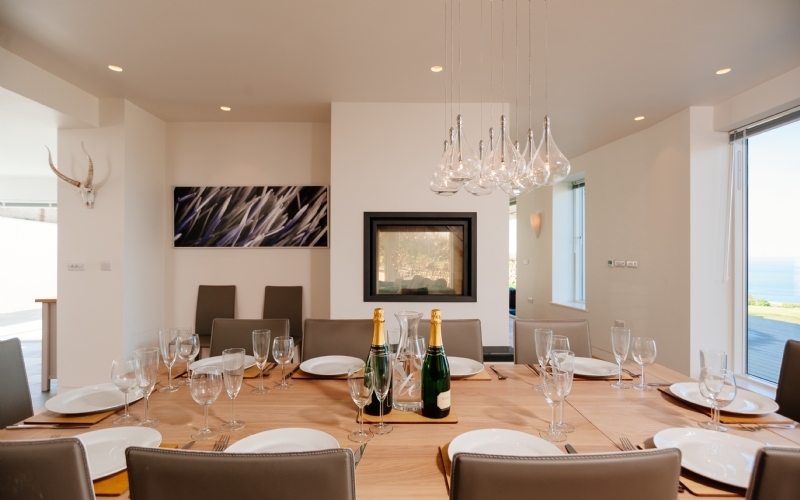 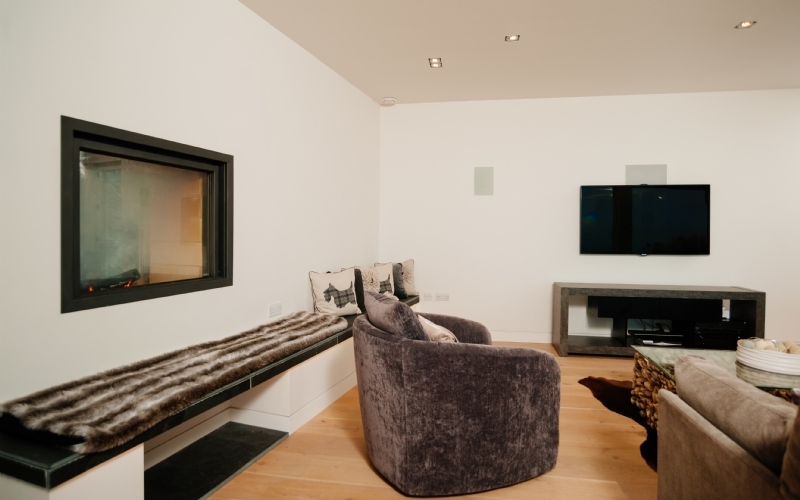 Customer Aspirations: Something modern and sleek to go in the beautifully designed new build. 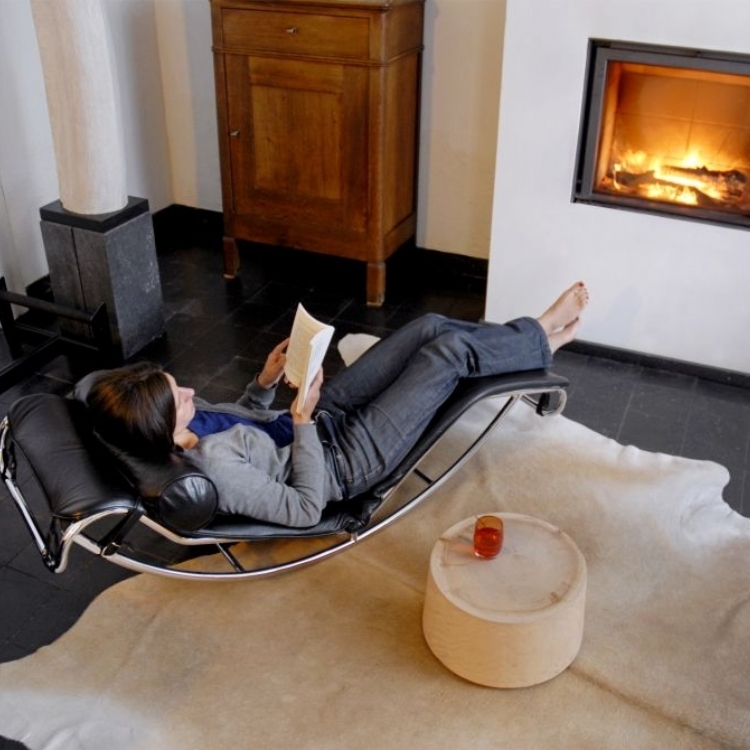 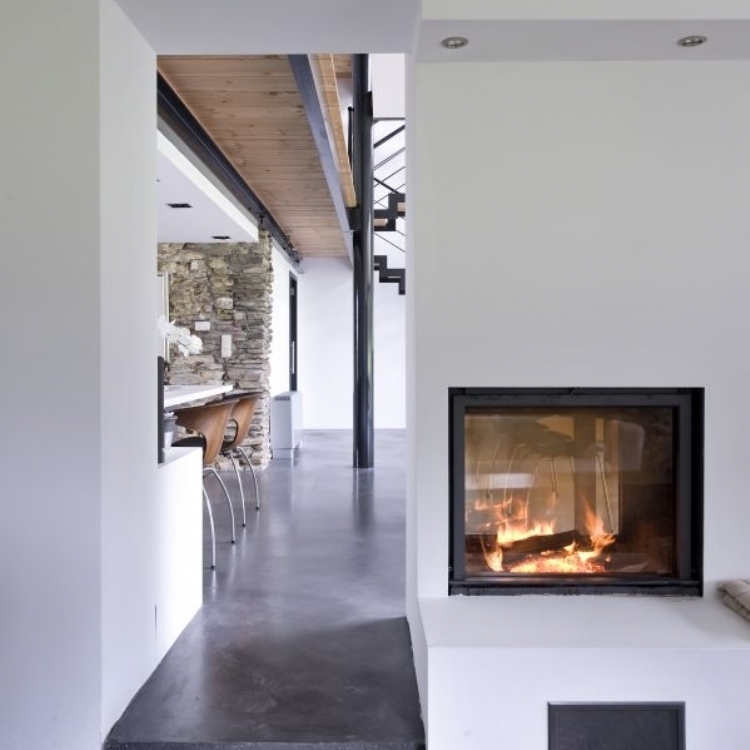 Special requirements: A fire that can been seen in both the kitchen and the living room, producing enough warmth to heat two large areas. 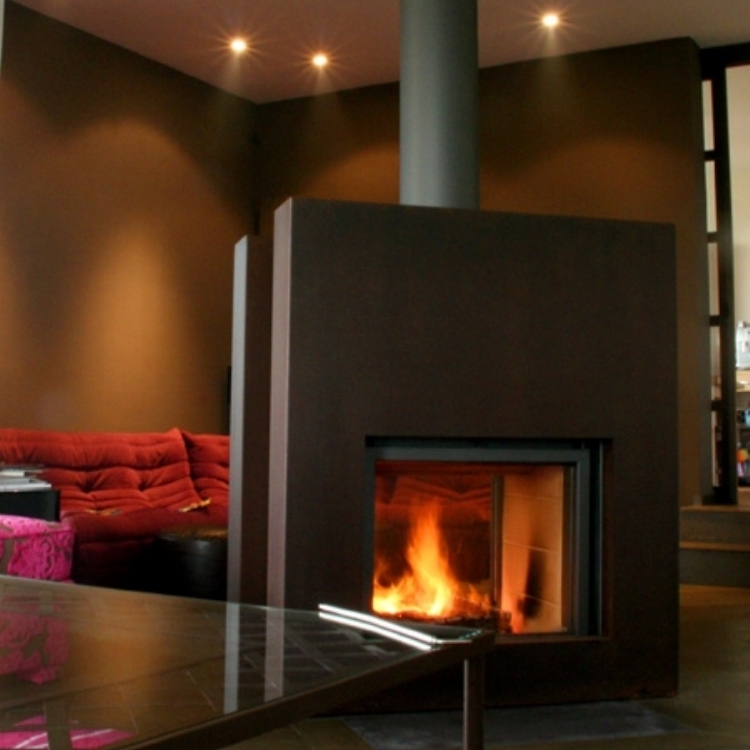 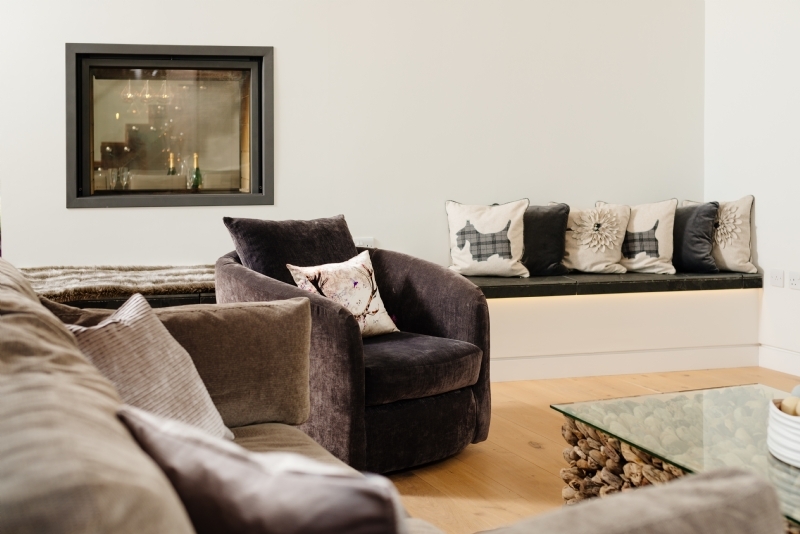 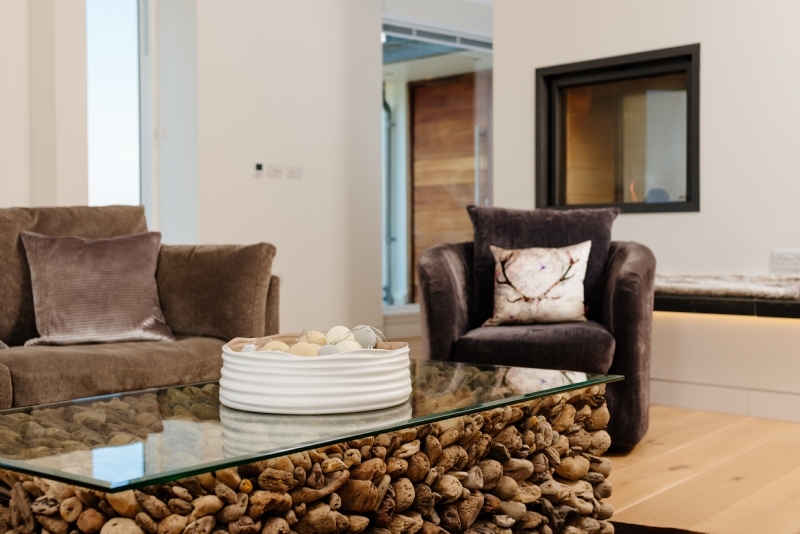 The Stuv 21/95 DF double sided stove was the perfect fire for this home designed by the Bazeley Partnership. 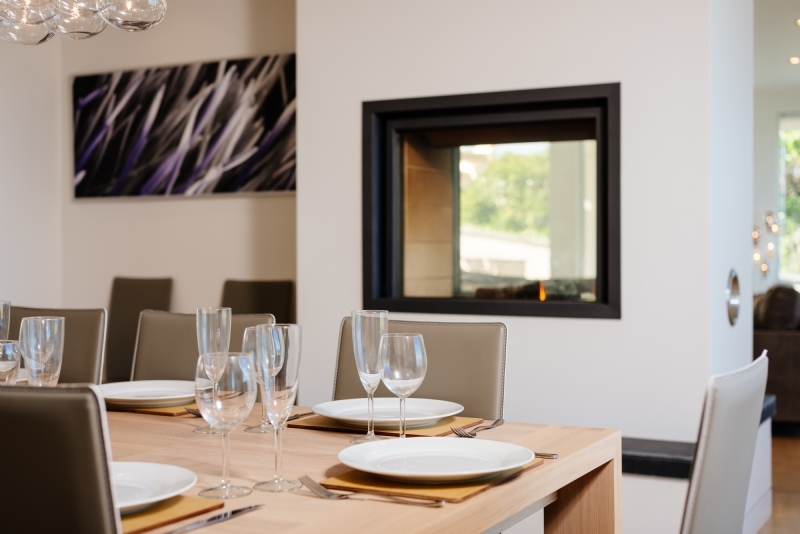 Perfectly proportioned with clean lines the Stuv 21/95DF creates a beautiful feature in both rooms, especially when the house is full of dinner guests. 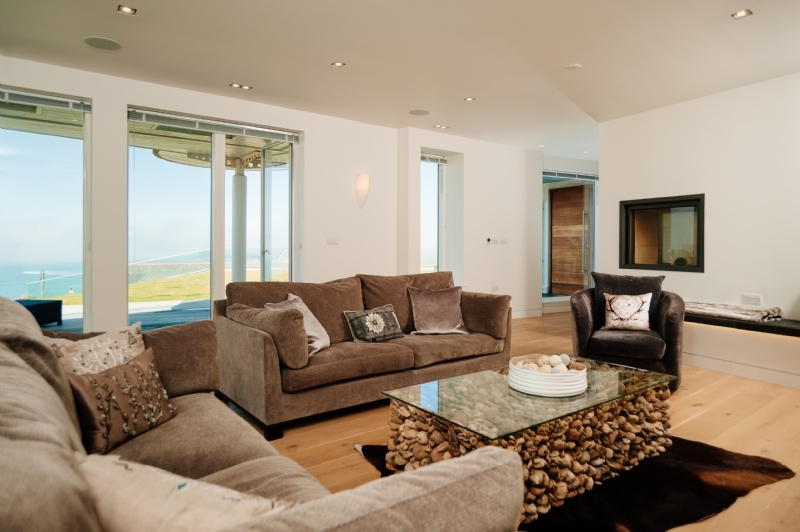 Available to let through Perfect Stays this fire is the centre piece to this magnificent home.